Millennials Media Consumption Survey #Infographic ~ Visualistan '+g+"
Brands looking to reach millennials are facing a challenge. The way hey consume media, and emerging digital methods of consuming media, are forcing advertisers to try a different approach. 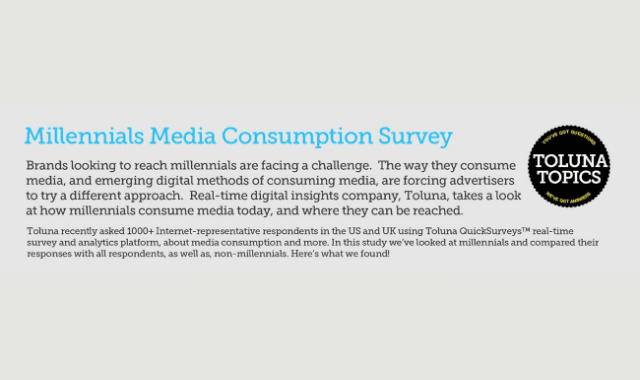 Real-time digital insights company, Toluna, takes a look at how millennials consume media today, and where they can be reached.